ü That the Oxygen is the life breath of human beings. ü That the plants take Carbon dioxide and live. ü That there is an ozone layer in the atmosphere that protects us from the Ultra-Violet rays coming from the Sun. ü Where these gases are present? ü These are present in surroundings of the earth and it is called atmosphere. ü Carbon dioxide – 0.03%. ü Water vapour, dust particles, Helium, Ozone, Krypton, Xenon etc also present in the atmosphere. ü The Nitrogen and Oxygen are considered to be the permanent constituents of the atmosphere. ü Remaining gases are the variable constituents. ü The heavier gases are concentrated in the lower parts of the atmosphere. ü The lighter gases are concentrated in the upper layers of the atmosphere. ü The Nitrogen gas is important for vegetative growth. ü The Nitrogen gas is also helpful for combustion. ü The Carbon dioxide gas absorbs the heat from the Sun and the earth. ü CO2 is a major nutrient for plants. ü High concentration of CO2 in the atmosphere leads to the Greenhouse effect. The atmosphere is divided into 5 layers. The 5 layers are divided into 2 groups. ü This is the lowermost layer in the atmosphere. ü We live in this layer. ü The height of troposphere at the equator is 16 km. ü The height of troposphere at the poles is 8 km. ü This layer accounts for water vapor and dust particles. ü This layer also accounts for most of the CO2. ü The Tropo pause separates the Troposphere with the Stratosphere. ü This is the second layer in the atmosphere. ü The Ozone layer is present in this layer. (Please remember). ü Ozone layer is present 25 to 30 km above the surface of the earth. ü This zone is called ozonosphere. ü The temperature is very high as this layer absorbs the UV rays. ü Air pockets are absent in this layer. ü There is an absence of water vapour in this layer. ü The layer is calm and clear. ü This layer provides the better visibility to the pilots. ü This layer is suitable for the high speed jet flights. ü This layer is present up to 50 km. ü The Chlorofluro-carbons are responsible for the depletion of the Ozone layer. ü This is called Ozone hole. ü This is the 3rd layer. ü This is a transitional layer. ü This layer is present up to 80 km. ü This layer is considered to be the coldest layer. ü The temperature decreases with the increase of height. ü This is the 4th layer in the atmosphere. ü This is an electrically conducting layer. ü They reflect the radio waves back to the earth. ü The Ionosphere helps in radio communication. ü This layer acts as a protective layer against meteorites. (Meteorites are burnt in this layer). ü The height is up to 400 km. ü This is the outermost layer of the atmosphere. ü The extent or the boundary of this layer is not clear. ü The earth receives heat from the sun and is called insolation. ü The surface of the earth receives the heat at the rate of 1.94 calories per Sq.cm per minute. ü The vast amount of energy coming to and leaving the earth is called radiation. ü The Sun radiation is in the form of short waves. ü Radiation from the earth is called terrestrial radiation. ü The terrestrial radiation is in the form of long waves. ü What is the average temperature of the earth? ü This remains constant because of the incoming and outgoing radiation. This is called heat budget. ü The heat budget is not uniform throughout the earth. ü Up to 400 latitude the amount of solar radiation is received is high than it is lost to space. ü Above the 400 latitude the amount of radiation received is less than it is lost. 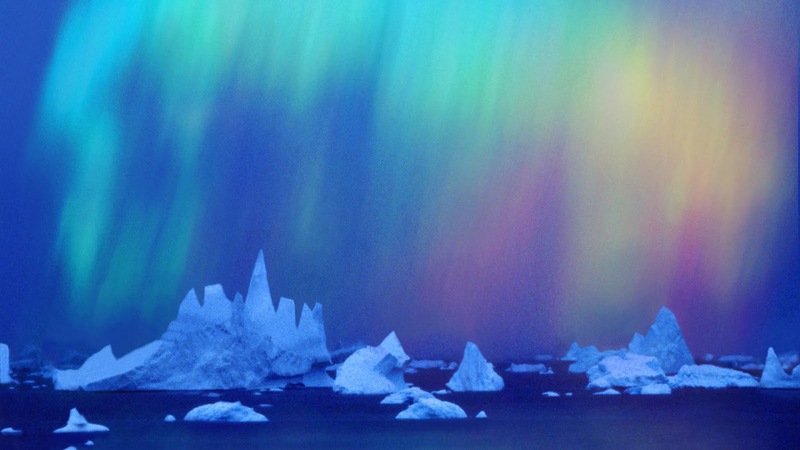 ü Aurora is a luminous phenomenon observed in the atmosphere in the high altitude regions. ü The Aurora is produced by the entry of the charged particles from the sun into the earth’s magnetic field and occurs at a height of 100 km. 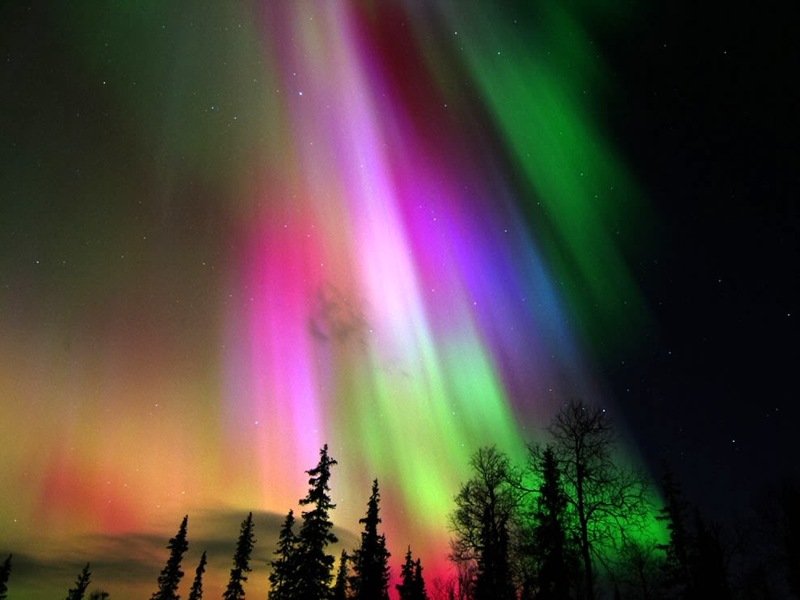 ü The Aurora are visible in high latitudes of both northern and southern hemispheres. ü The Aurora of northern hemisphere is called Aurora Borealis. ü Weather primary elements are Temperature, Humidity and Wind. ü Weather changes from time to time. ü The climate is the average of daily changing weather conditions over a long period of time. ü The proportion of incident solar radiation reflected from the surface of the earth is called albedo. ü The earth receives only 1/2000 millionth part of the total energy emitted by the sun. ü Most of the energy emitted by the sun is not received by the earth because of absorption, scattering and reflection. ü Depending on the temperature distribution the globe can be divided into three temperature zones. 1. Torrid Zone or Tropical zone: The temperature remains high. This is 23 ½ 0 N and 23 ½ 0 S.
2. Temperate Zone: The temperature remains moderate. 3. Frigid Zone (Polar regions): The temperature remains low. ü Isotherms: The lines joining places with same temperature. 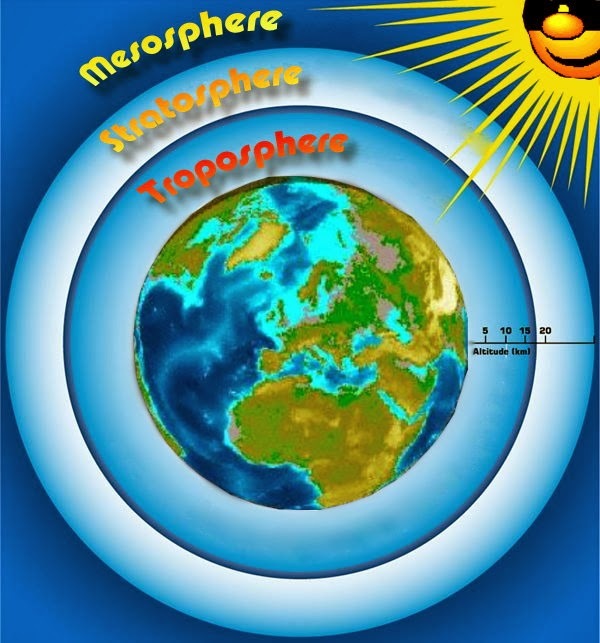 ü Atmospheric pressure is the column of air extending vertically over a given area on the earth’s surface. 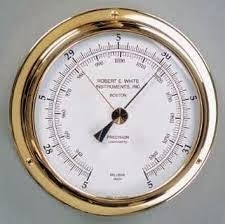 ü Atmospheric pressure is measured by Barometer. 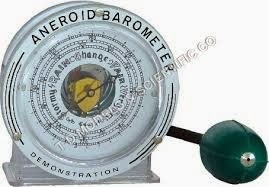 ü Aneroid Barometers are the modern barometers that do not make use of any liquids. 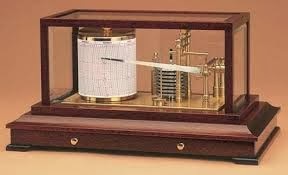 ü Barograph is an instrument that records the atmospheric pressure continuously. ü Wind: The air moving in a definite direction. ü Air always moves from the area of high pressure to the low pressure area. ü Easterly winds: Blows from East to west. ü Westerly winds: Blows from West to East. ü Doldrums or Variable winds: 50 N and S.
from North to South in the Northern hemisphere and South to North in the southern hemisphere. ü Horse latitudes: Between 300 and 400 N and S.
ü Westerly winds: Between 350 and 600 N and S.
ü Westerly’s in the southern hemisphere also called Roaring forties, Furious fifties and Screaming sixties.